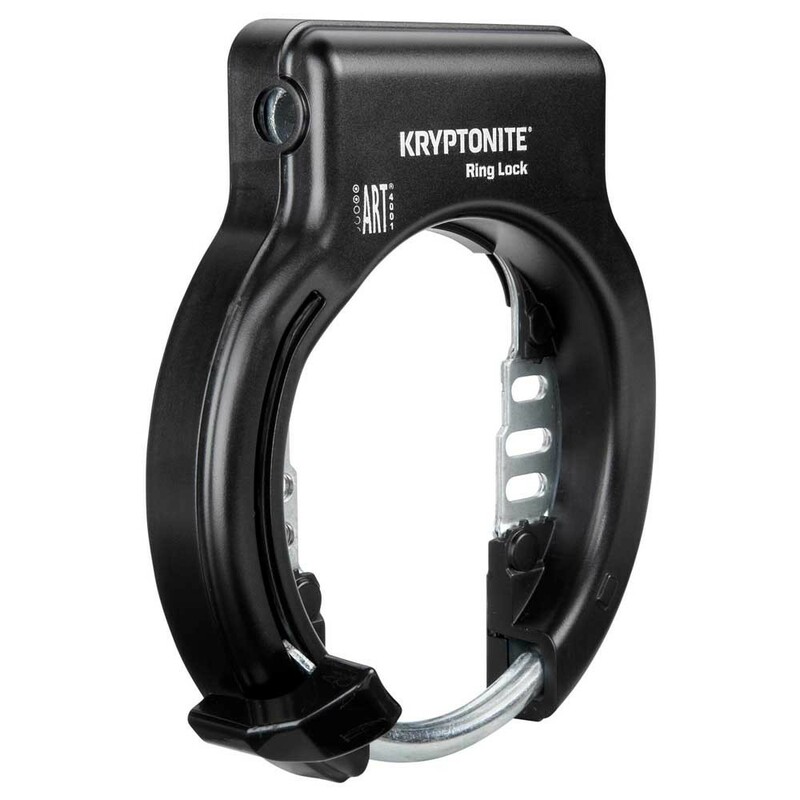 The Kryptonite Ring Lock is a high quality frame lock with an extra wide opening to create more space for tire and mudguard. 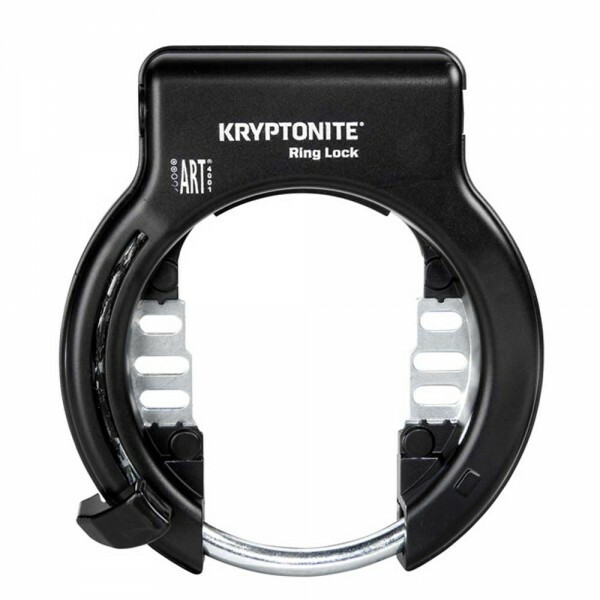 The Kryptonite ring lock offers optimal safety with its anti drilling cylinder and hardened steel bracket. Ring lock prevents roll or ride away theft. Plug-in options include chain or cable which prevent lift away theft. 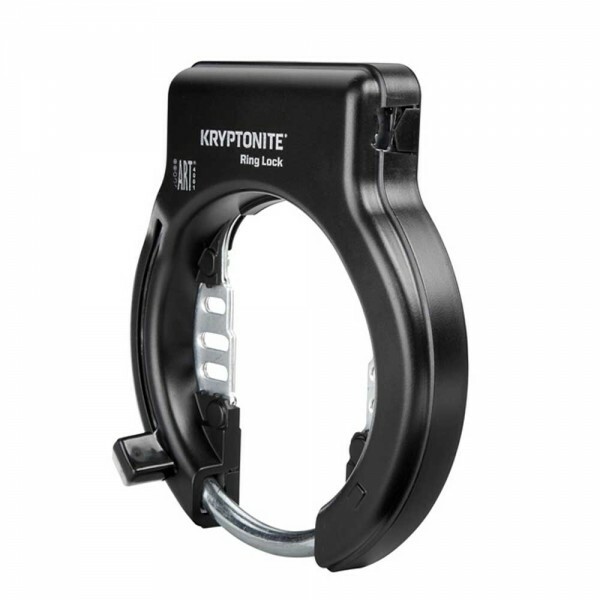 Kryptonite and AXA ring locks/plug-in options are compatible. Non-Retractable version. Supplied with Keys.